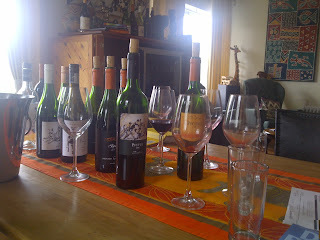 Very interesting wine tasting experience and great wine!! 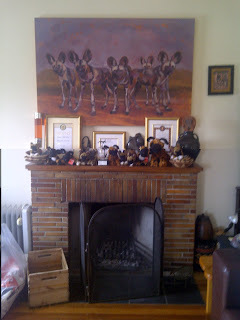 My friend introduced me to Painted Wolf. 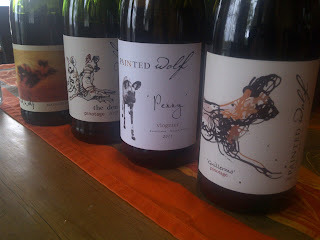 We were at the Top 100 SA Wines when he pointed out the Painted Wolf Wine. We asked where they are based so we could go out for a tasting. That is when Jeremy Borg (winemaker and owner) explained to us that they don't have a tasting room but we could do a tasting at his house. 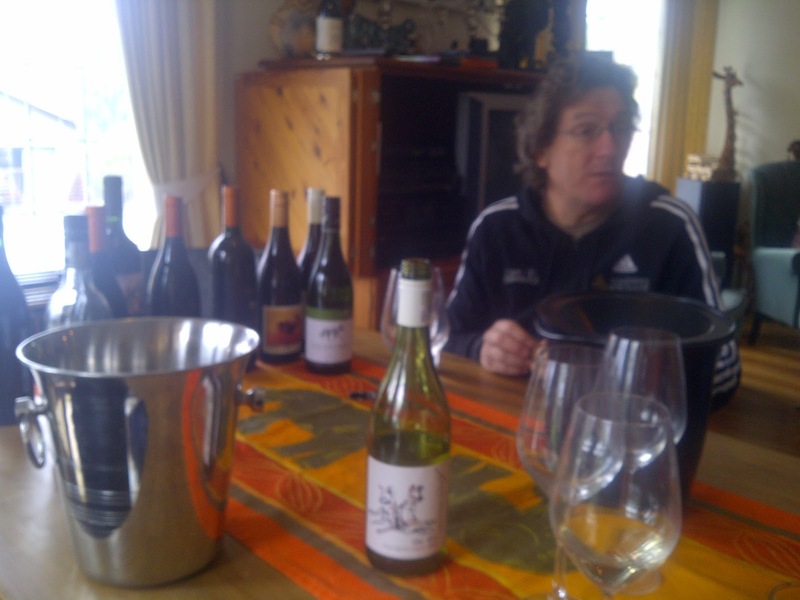 My friend followed up on this and we ended up doing a tasting today with Jeremy in his dining room at his house is Paarl. Jeremy brought in about 6 wines for us to taste, by the end of the tasting we had opened 11 different wines!! We sat down at his dining room table and learned about his life journey and what got him in to winemaking and what the Painted Wolf Wines were all about. He grew up in Malawi, spent some of his time in UK, and then California. He did his degree in finance, he owned a restaurant in California, and now he makes wine here in SA. It is quite a colourful life he has had. He told us that he plans to start offering his guests lunch when they come for a wine tasting, so when you call Jeremy to book a time to do a wine tasting with him, ask him about his lunch options. We started our tasting with The Den Sauvignon Blanc 2012 at R60 a bottle. On the nose I got vanilla and slight floral and fruity aromas. It was smooth and had a lingering lime finish to it. It was very nice. The grapes for this wine came from vineyards in Paarl which were apparently planted around the 1980's. Then we tried the Lekanyane 2010 at R80 a bottle. This is a Cape Blend. Jeremy told us that the name Lekanyane is the Tswana name for Wild Dog. It is a blend of Chenin Blanc, Viognier, and Verdelho. It had sweet honey notes on the nose, a pungent stone fruit flavour, is quite smooth and easy drinking. It was nice yet a little complex somehow. The third wine we tried caught all of our attention and I highly recommend you get yourself a bottle to try!! It is the Roussanne 2012 at R100 a bottle. Only 12.5% alcohol. It had soft peach aromas and was slightly sweet on the nose. Wow!! was my first reaction to this wine when I tasted it. It is full bodied, light, with a stone fruit finish. I liked it. There was a bit of strawberry and straw aromas. He said it is a northern rhone varietal. It was a little tangy on the palate which reminded me of granny smith apples. This was definitely a favourite. 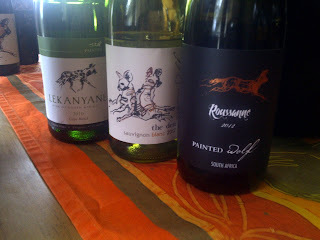 The Chenin Blanc 2011 at R80 a bottle was soft on the nose, I struggled to pick out a particular aroma on this wine. But I liked it! !The grapes came from Swartland, it is 14.5% alcohol and was barreled for 9 months. 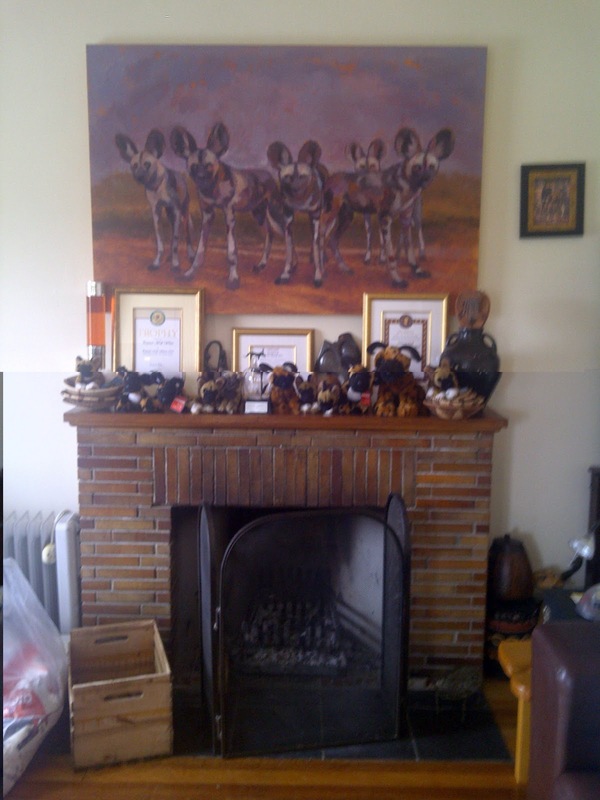 This was another favourite of mine. Then we tried the Chenin Blanc 2012 at R80 a bottle which was 12.6% alcohol. This wine had more prominant aromas than the 2011. The grapes were sourced from two vineyards. There were tones of melon on the nose, it was far more fresh, had a more fruity pungent flavour, was more acidic, had a sharp flavour and was a little sour. This wine was ok. While we were trying the wine, we would talk a lot about all sorts of things, and somehow we got on to the discussion of Viognier. Jeremy then learned that I love Viognier, so off he went to go find a bottle. The Viognier is called Penny and is R140 a bottle. This wine is 100% Viognier and 14.5% alcohol. Penny and Benny Hughes own the vineyard. The vineyard is in Swartland. It is an organic estate, and only 1000 bottles were produced. It was sweet on the nose with tones of peach, it was very nice. It was full bodied, had an interesting fruity taste, was round mouthed, slightly acidic, had a fresh finish and was nice. Next we moved on to the reds. We started with The Den Pinotage 2012 at R60 a bottle. It was a gorgeous deep red cherry colour, light on the palate, was fruity but lacked body, was easy drinking, slightly acidic, pleasant, little dry finish. 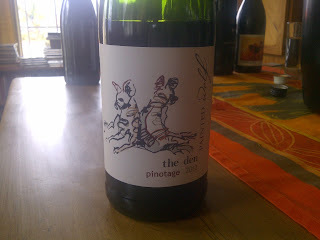 Danie really liked this wine and he is not much of a Pinotage fan. Madach 2008 at R80 a bottle had a gorgeous nose. It was 13.5% alcohol. A blend of 58% Shiraz, 19% Pinotage, 12% Mouvedre, 6% Grenache and 5% Merlot. It was light-med bodied, had beautiful berry aromas, was a little dry, had fresh tones, and fruity berry flavours. The Shiraz 2010 was next at R120 a bottle. It had slight coffee tones on the nose, I could also smell toffee and dark berries. It was quite light and had berry flavours. This wine was smooth. It was 13.5% alcohol. The grapes came from vineyards in Stellenbosch, Paarl and Swartland. 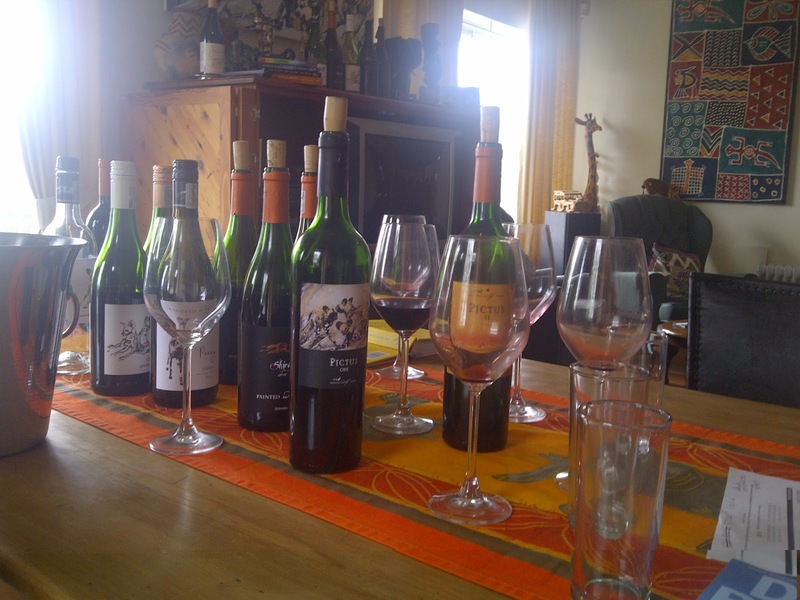 Next we tried the Guillermo Pinotage 2010 at R140 a bottle. It was a little dry, medium body, smooth, nice and fruity. 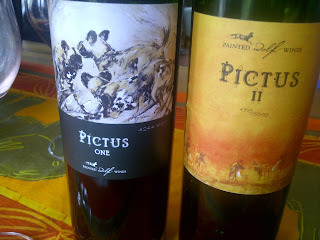 The last wine was a favourite of mine and that was the Pictus One 2009. It had ripe cherry and plum flavours. Was fruity. I loved it. It was stunning. Beautifully balanced. It was a blend of 45% Shiraz, 35% Grenache and 10% Mouvedre. I highly recommend one visits Jeremy for a tasting. 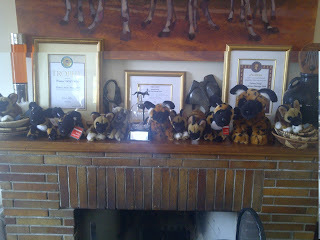 You can call him on 0218632492 or email on sales@paitedwolfwines.com to organise a time to visit. The wine is really good!! The experience is one you won't forget. Jeremy has a lot of stories to tell about the wine and how the names came about so you need to allow a few hours for the tasting. We were there for 2.5 hours!! I didn't even realise how much time we had used until we were finished the tasting and were walking out the door with all our wine.